Ilana Travels: To the islands, to the islands to the Tropical Islands! To the islands, to the islands to the Tropical Islands! The is late autumn in Germany, and even though I see the sun often, the daily chill reminds me that it will not take too long till I will see snow. Not on my wish list. More than ever, I need to dream about tropical islands. For a long time, I was told about the tropical paradise near Berlin, but only now, after years of harsh winter I am set to seriously check the location. From Berlin to the Tropical Islands, there is a direct train connection leaving Central Station every hour. With less than 20 EUR. and one hour later, I landed in Brand/Niederlausitz. A colourful bus free of charge is waiting in the train station to take us fast to the Islands. 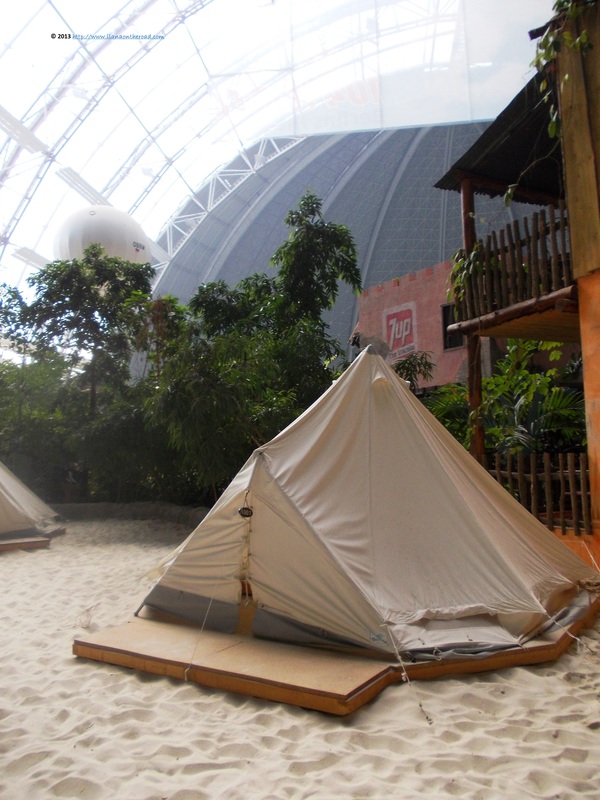 The Islands are hosted in a former airship hangar, that went through different stages in the post-communist Germany. There is a camping area and a parking space nearby. 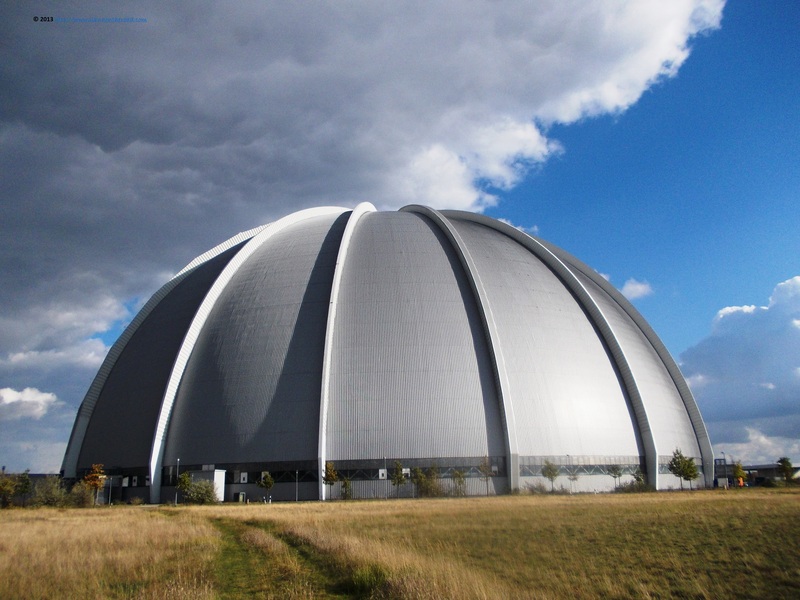 The huge hangar is considered the world's largest free standing building that can easily gulp the Statue of Liberty. Another world record of the Islands is the indoor tropical rainforest, considered the biggest in the world of this kind. It is the middle of the week on the Islands, but once arrived you may easily forget which day it is. Dressed from head to toe, I may look bizarre or annoying for the groups of tourists walking semi-naked from the sauna to the Ayurveda treatments or the restaurants. It is very hot inside but I can't never have enough of it. My guides are showing me the main locations, explaining how the designers and architects wanted to make the place as lively as possible. 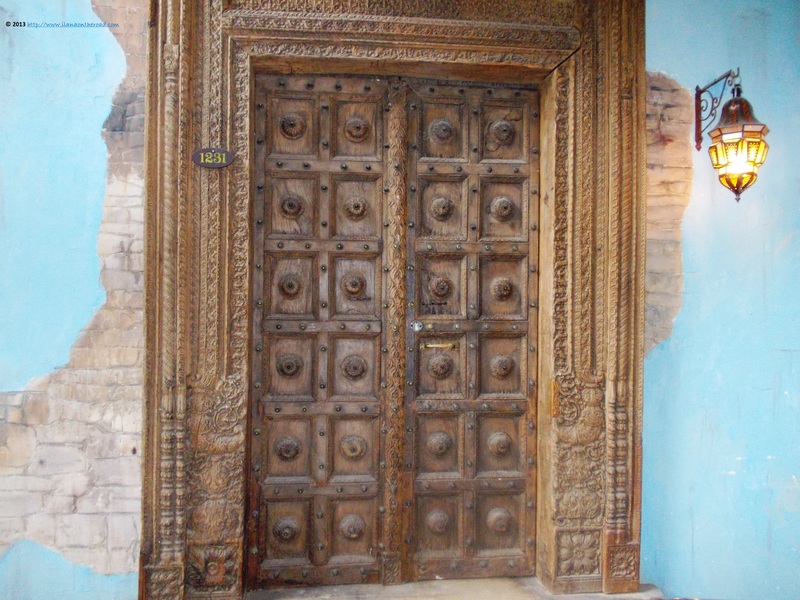 Original doors and statues hidden behind the big green leaves were brought from India, Bali or Thailand. Everything looks colourful and genuine and I love the time traces of the doors. So much warm make me wish I have more time to book a diamond peeling, for example. The accommodation on the island can be booked online, but for the massage, the reservations are made on the spot. There are around 200 rooms available to book. 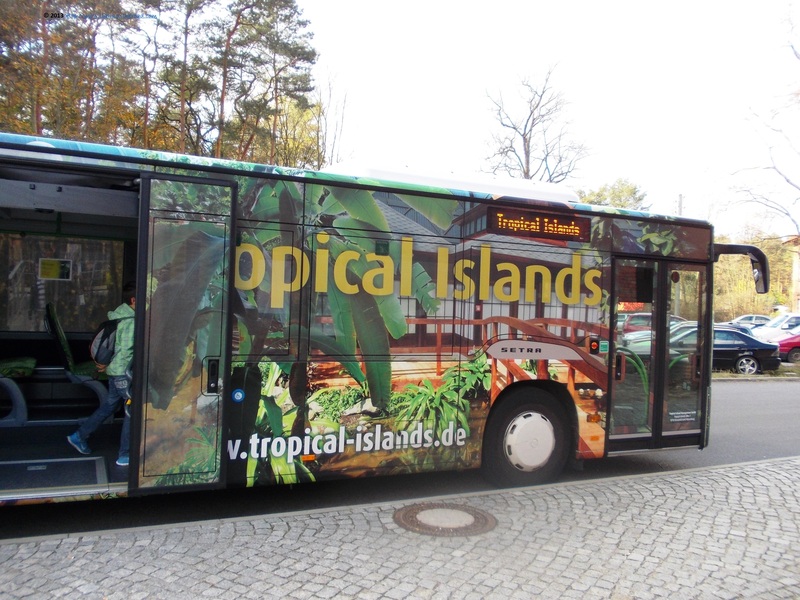 The majority of tourists visiting the Islands, with or without families, are from Germany, followed by Dutch, Polish, Czech, Swedish or Norwegian visitors. There are lockers for those looking only for one day stay, but also tents in the sand, for those with a limited budget or with a backpacker soul. 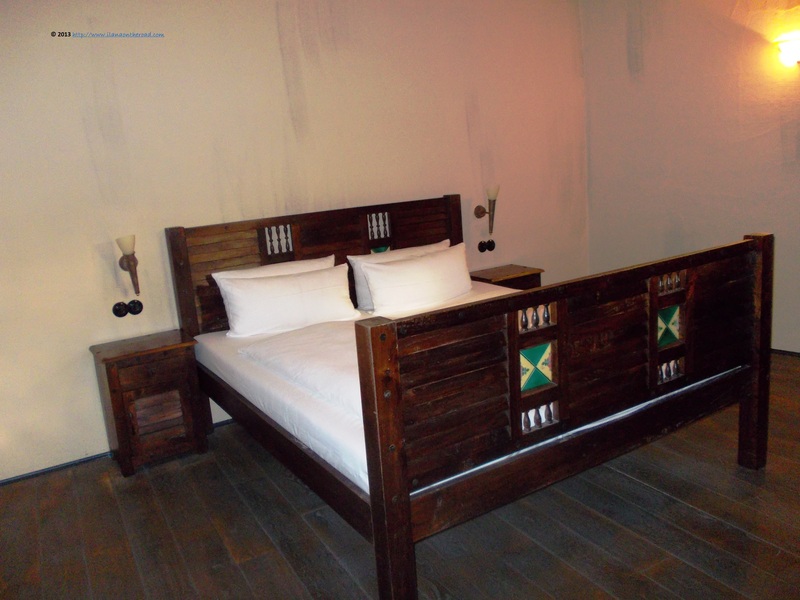 The premium rooms are stylish, with simple yet original furniture. Some are provided with air condition, and TV. Wifi is part of the menu as well, and a small fridge with some nuts and champagne is waiting in the room. The only thing that cannot be guarantee is the perfect silence, as there are always things taking place on the islands and people are here to party a bit as well. Some restaurants are open till late, and especially in the winter season, companies are happy to book some rooms and spaces a couple of hours or days to celebrate the end of a busy year. For the New Year's Eve, the places were almost booked late October. 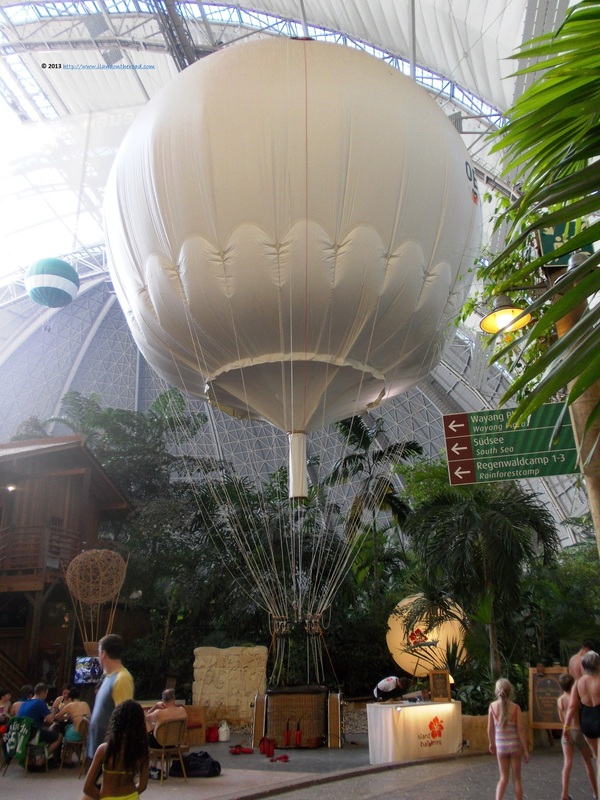 One of the favourite entertainments is flying high in the hangar's sky with the air balloons. For more excitement, there it is possible to try the parachute jumping competition. Children have their own corner, with a face painting corner and one of the biggest water slides in Europe or a paddling pool. There it is also a mini-golf and if you are early in the morning, jogging in the rainforest can be fun. After you enter the Islands, you are given a bracelet with a chip that will record your purchases that you will pay at the end of yoru stay. Besides the breakfast that can be included in the price of the room, there are various restaurants with 'exotic' foods, such as the tropical barbecue offered by the Jabarimba restaurant. Some basic shopping, including a mini-bookstore, can help you reach your budget for such an adventure. 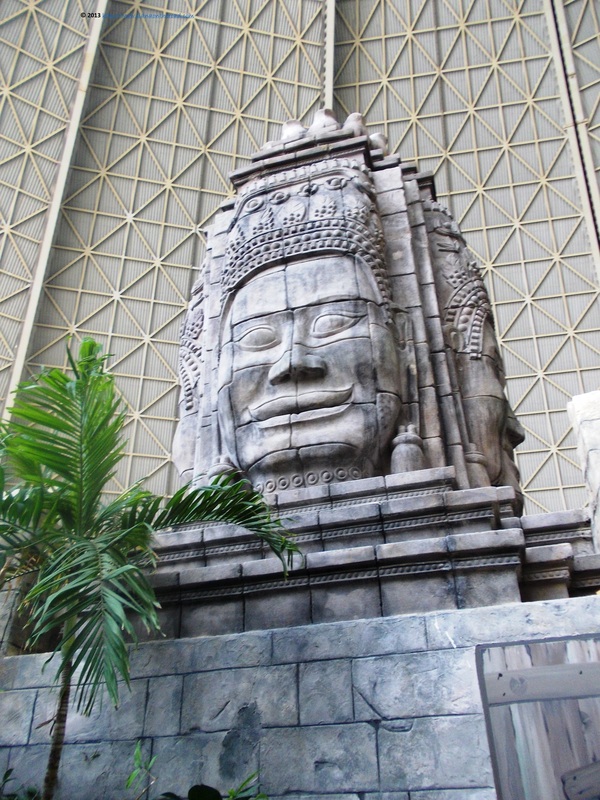 Otherwise, the prices are far beyond the expectations of a tropical visit. Once my tour is done, I want to spend a little more time on my own exploring the rainforest. I pass one again near the blue laguna waters where everyone is sipping a cocktail or getting in the siesta mood, envy the lazy turtles and wish I am lucky enough to spot the peacocks (not this time though). 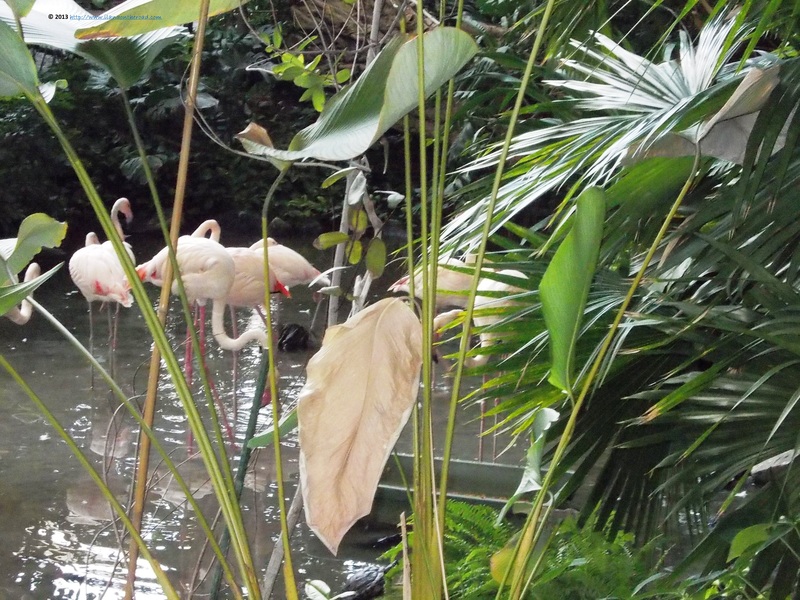 I am left with the flamingoes, the newest residents of the islands. I spy on them a bit and convince myself that I should go back home otherwise I may need to stay here for longer. Out in the windy afternoon, I am trying to brainstorm which tropical place in the world will suit the best my painful winter. But I also know that if I really crave for a full tropical feeling, I can return any time here. Many if nothing else left to go for my birthday, as on such occasions, you are offered free entry. I was offered a complimentary tour of the Islands, but the opinions are, as usually, my own.